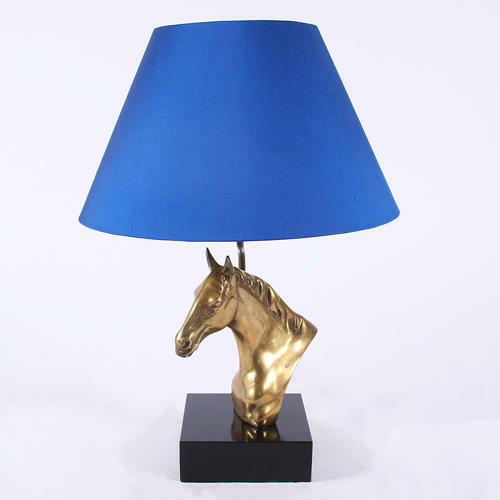 A stunning pair of table lamps with a detailed brass horse`s heads on a black base. Pictured with a made to measure blue silk shade with a gold lining. Re-wired.